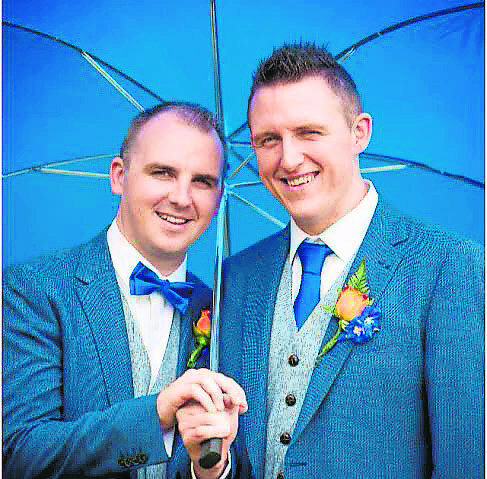 WHEN Michael Keogh from Caherline, Caherconlish, boarded a plane for Gran Canaria little did he know that his partner Evan Murphy, from Shanakiel, Cork, had had a quiet word with his parents Mary and Patrick before they left. After receiving their blessing, Evan got down on one knee, popped the question and produced a beautiful silver ring. Romance was a slow-burner for Michael, 32, and Evan, 29, who started chatting online five years ago, and met a few months later for their first date. Michael joked that his patience and persistence paid off, as early in their relationship Evan was busy pounding the pavements and going door-to-door campaigning for David Norris to be President. “He played hard to get for a long while,” he laughed. David lost his race, and Michael regained Evan. He moved from the Rebel County up to the Treaty City in March. For their first date they went to see a horror film in Cork around Halloween, and as they say, the rest is history. Except not quite. A photo of the couple kissing after the landmark marriage equality referendum was emblazoned across many national front pages. It was a powerful image, and their day was made all the more special given that the State now recognised them as husband and husband. They wed in a deconsecrated church in Cork city – St Peter’s church on North Main Street – which is still used to host weddings, and other special events. A touching four-minute video of the first half of their day, captured by their videographer, has now received more than 6,000 views online. “I think it has just touched people’s hearts, after the referendum last year,” he added. It was a day filled with many special and personal touches, and many celebrations leading up to the big day. Michael, who works in the Patrick Street branch of Bank of Ireland in Cork, and was with the Limerick branch at 125 O’Connell Street for eight years prior, had a send-off party thrown in his honour by his colleagues before their special day. Not only did they have five groomsmen, two of whom are Michael’s brothers, they also made three groomswomen, including Michael’s sister Sarah and Evan’s sister Jessica. One of their groomsmen, Graham McDermott, even walked down Patrick Street dressed as a drag queen after entering a competition to help them win a wedding, and made the final. 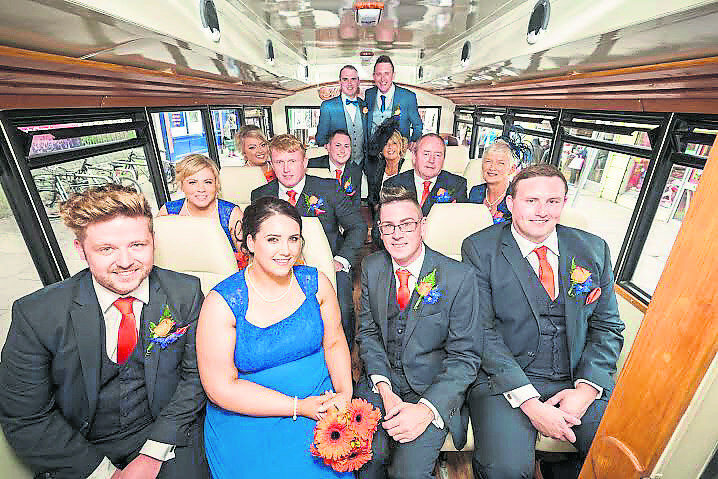 A vintage bus hired for the wedding party was another added surprise for their close friends and family. For Evan, his favourite part of the day was signing the register, and for Michael, it was walking in the door of St Peter’s to their favourite song – One Direction’s Little Things – and seeing everyone. “The ceremony and the speeches were the most emotional and also they included some laughs too. Looking back you realise it’s not all about the frills. We had an amazing day but in the weeks leading up you do get so engrossed in how it’s all going to look. We won’t spam, we just want to keep in touch.